Margaret Wise Brown’s classic story Goodnight Moon has been loved and passed down through the generations for more than 60 years. The bunny in the blue and white striped PJs wants to delay going to bed for as long as possible, so he says goodnight to every object in his room – and beyond. In this new musical adaptation by Chad Henry, the objects and characters jump off the pages, and the bunny’s bedroom comes to life. Suddenly, the cat and the fiddle, red balloon, clocks and socks, kittens and mittens, and the cow jumping over the moon are just a few of the many that spring into action. Bedtime has never been so entertaining! A JT Premiere! Recommended for all ages. Sensory-Friendly Performance, 11am Saturday, July 16, 2016. ASL-Interpreted performance, 2pm Saturday, Jul 16, 2016. Script, music and lyrics by Chad Henry, with additional musical arrangements by Mark Rabe. Adapted from the book by Margaret Wise Brown, illustrated by Clement Hurd. 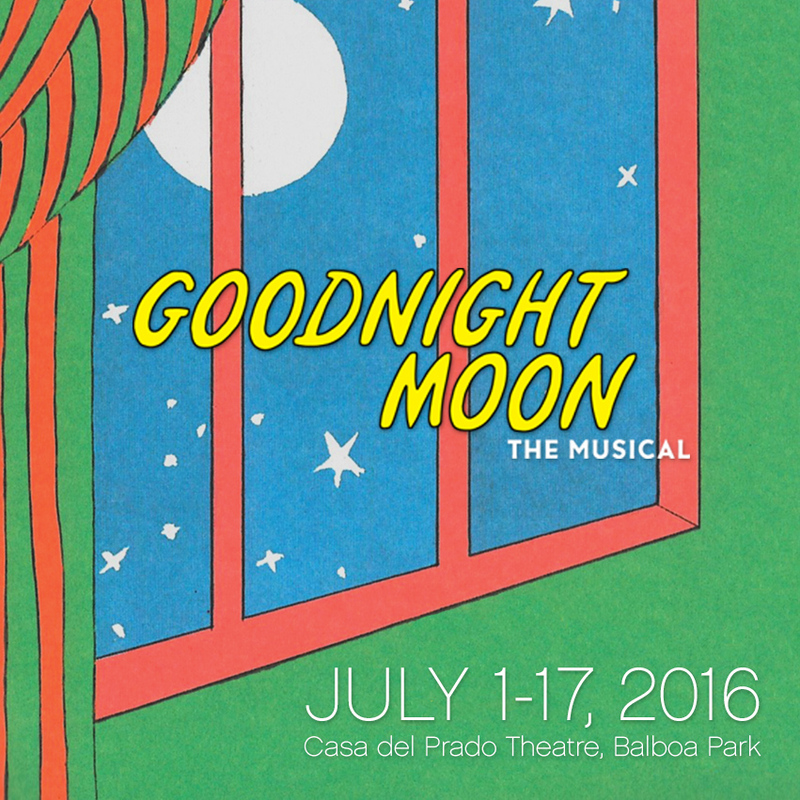 Goodnight Moon is presented through special arrangement with HarperCollins Publishers. Copyright © 1947 and renewal copyright © 1975 by Albert Clarke III and John Thacher Hurd. Used by permission of HarperCollins Publishers. All rights reserved. Production sponsored in part by the City of San Diego Commission for Arts and Culture, the City of San Diego Park and Recreation Department, and the County of San Diego.